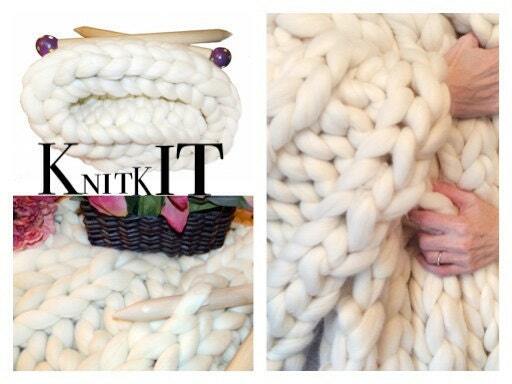 * Hand Crafted Giant Knitting Needles, Poplar, Finished w/ beeswax, Length...24"
* Bound Tutorial & Pattern Book with all the above projects, plus extra patterns for larger throws and blankets, and how to join ends with NO KNOTS! With our tutorial and bound pattern book featuring different styles and stitches, the choices for your finished projects are endless. We will be publishing many more patterns, and these will always be available to you free with your special code included in your shipped kit. And...the skeins are available individually at a discount to you for future purchases. Why SMOOSH yarn and not others or raw wool roving? Our SMOOSH yarn is lightly spun for several reasons. 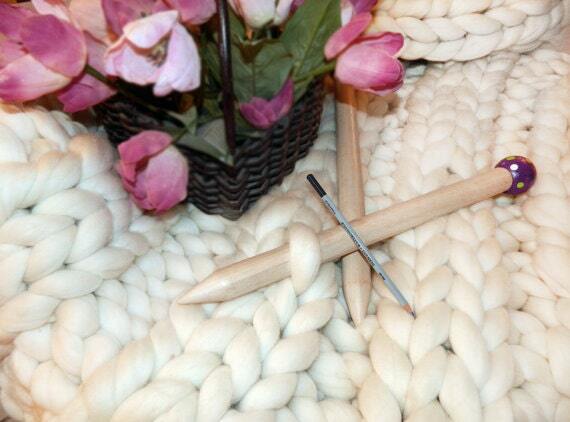 The light twist in our yarn provides strength, durability and longevity ... While all wool products will shed and pill a bit, but with the twist applied to our yarn will do so much less then others and considerably less compared to plain roving. Roving also breaks and tears easily and can be difficult to work with, especially for less experienced extreme knitters. We add just enough twist to make it easy to work with, but not so much it is twisty, loose it's loftiness, or to cause uneven thickness. 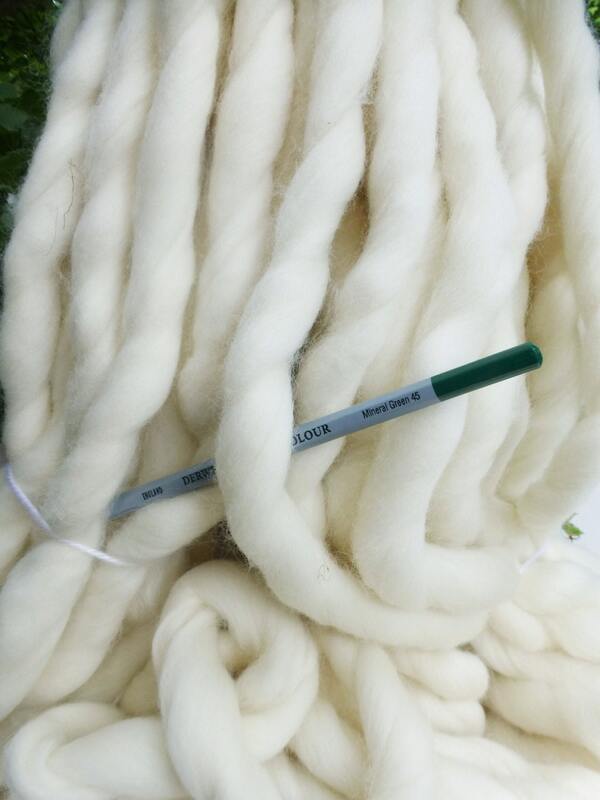 Our special process in preparing and spinning our yarn also allows for it to be much lighter in weight then plain wool roving. 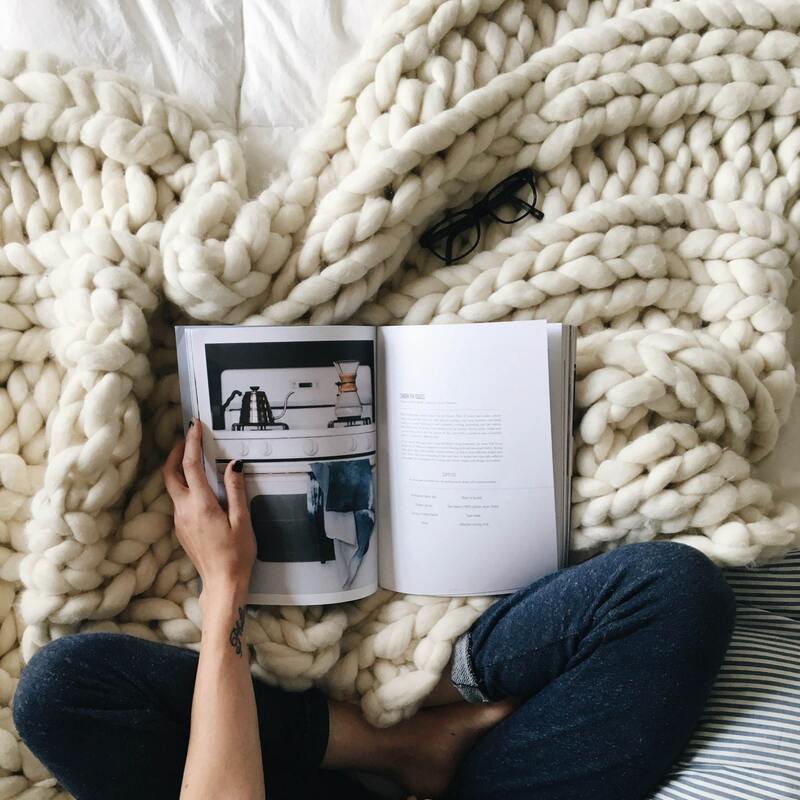 A 30x50 inch blanket made with our yarn will weigh 4-5 pounds, compared to the same sized blanket made with roving weighing 8-9 pounds! Blankets made with our yarn will also drape and move much more freely and not be at all stiff, unlike those made with roving.